This update on the progress of the Project Imagine roundtable will begin by clarifying the roles that individuals have filled in accomplishing the work. Rev. Dr. Diana Swoope, chair of the General Assembly and Ministries Council, served as chair of the roundtable and guided the meetings. The roundtable was assembled as a select committee of the Ministries Council, reporting to the Ministries Council. There were twenty-nine members of the roundtable, appointed by the Ministries Council in September 2017, following the General Assembly’s endorsement of the idea in June 2017. At the chair’s request, Ben Sand, president of the Portland Leadership Foundation, served as consultant and facilitator of the three meetings of the roundtable; Ben has been invited to serve the Ministries Council before, beginning with an assignment in 2012, when Ron Duncan was general director; he has an ongoing consulting role at Warner Pacific University. 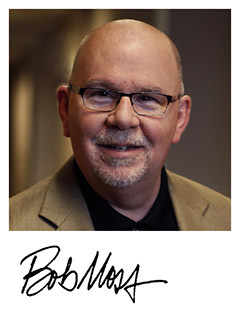 I (Bob Moss) served as project manager, harmonizing the communication inside the roundtable and to the church at-large, and leading a logistics team that coordinated all of the meeting details. In many ways, my role was as an ambassador and diplomat to the church at-large. Dr. Barry Callen attended the last meeting of the roundtable to act as a scribe, capturing the roundtable’s conclusions on paper. Jim Lyon, general director of Church of God Ministries, and several members of his staff, participated in the meetings by listening, sharing, and answering questions. Additionally, Ben Sand, at the request of the chair, brought a summary report of Project Imagine to the September 2018 meeting of the Ministries Council. He shared his observations and conclusions in a verbal report. He also distributed a copy of a report, written by Dr. Barry Callen and approved by the membership of the roundtable, that summarized the conclusions of the roundtable. Ben Sand’s report was received with gratitude by the Ministries Council and will be acted upon more conclusively in its March 2019 meeting. Several approaches to the Movement’s challenges were brought forward as proposals for the roundtable’s consideration. The dialogue was robust, substantive and, at times, frustrating for all involved. The complexity and diversity of views across the Movement found free exchange; the differing lenses many times saw the same set of facts differently. However, as the process progressed, some clarity began to emerge, and the roundtable unanimously landed with two primary recommendations and sent them to the Ministries Council (which received them at its September 27 meeting). The first recommendation endorsed the voluntary formation of a pilot regional model, using a “collective impact” approach, bringing together several adjacent existing regions which expressed interest in exploring the idea. In this model, each region agrees to maintain its separate identity and assets (both material and talent), but also to work together, with Church of God Ministries, toward common goals and outcomes, determined together. Five existing regions along the Pacific Coast (from Alaska to Southern California) and two Partners in Ministry (the Interstate Association and Hispanic Council) have volunteered to become a part of this pilot project. The second recommendation endorsed the establishment of a new voluntary networking table. Convened by Church of God Ministries, this networking table will create a forum for the broadest possible collection of voices and ministries within the Movement. The Table will routinely explore new and better ways of working together (sharing calendars, ministry initiatives, passions, ideas, collective opportunities, etc.) and maximizing the prospects of developing synergistic strength for the enhancement and success of the movement’s many ministries. The Council has received these recommendations and is prayerfully reviewing the roundtable’s full report. The Council will meet again in March 2019 to act upon the report and prepare its recommendations to the General Assembly accordingly. Those recommendations will be distributed to the Assembly in the months before it convenes in Orlando at the Church of God Convention on June 28, 29, and 30, 2019. I welcome your questions and comments regarding Project Imagine, the roundtable, and next steps, anytime. Send me an e-mail at BMoss@chog.org or call our office to set up a phone appointment: 765-642-0256. THE ROUNDTABLE CONVENES – IS GOD INVITED?